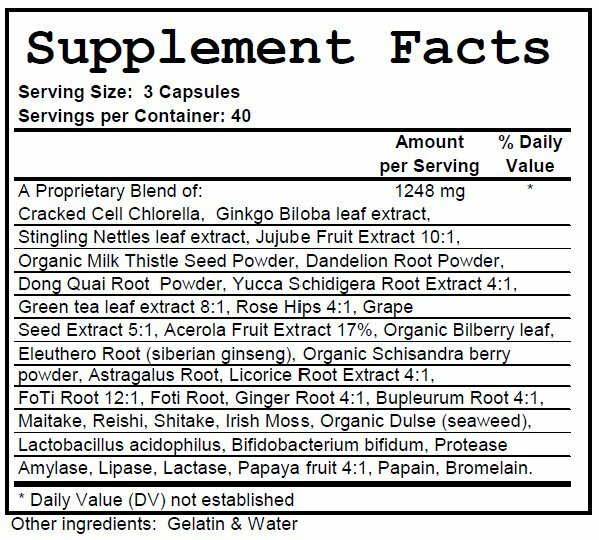 Detox Support is an extremely concentrated blend of super greens, herbs, mushrooms, antioxidants, enzymes and much more. It is an excellent way to safely detox and support your organ systems throughout a detox regimen. It is also an excellent way to get your serving of 'greens' in each day. I wanted to use this along with my first ever detox cleanse. I started doing 3 capsules daily but after 2 days, I noticed it was too much. I was detoxing too fast. I bumped it down to 2 caps daily and it's been working great for me. I feel like my cells are being cleansed!